There has been quite a lot of controversy around gaming headsets ever since they were announced in the market. Apart from their gamer-esque look, they offer the same sound as any decent headset that is not for gamers, though at a higher price. This has made a lot of people question the legitimacy of these headsets. Still, despite all the criticism and controversy, gaming headsets have managed to find a place in a market that is subjected to constant change. Partly because of how several professional gamers have used these headsets as their personal drivers while playing live internationally. 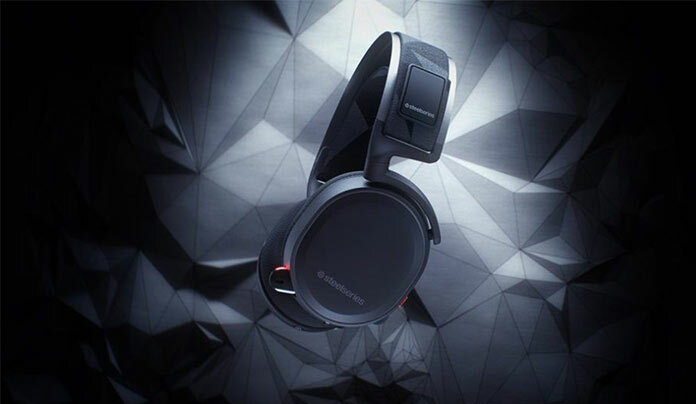 At this point, the gaming headset market is so popular that even a company like Sennheiser has branched into it to see what the fuss is about. This is very strange to see because Sennheiser is a company that makes some really high end headsets that are completely away from the “gaming” aspect. Since the gaming headsets are super popular now, I thought doing a review round up would be a nice idea. So, I started digging, and found some really interesting headsets to review. The task was not easy as my research brought me over a hundred headsets from high profile companies as well as some generic ones. Finally, the list is ready, and the reviews are done. My results were rather inconclusive at first. That is because I was comparing all of the headsets to my AudioTechnica ATH-M50x. However, I reviewed them on their own, and without comparison, things changed a bit. 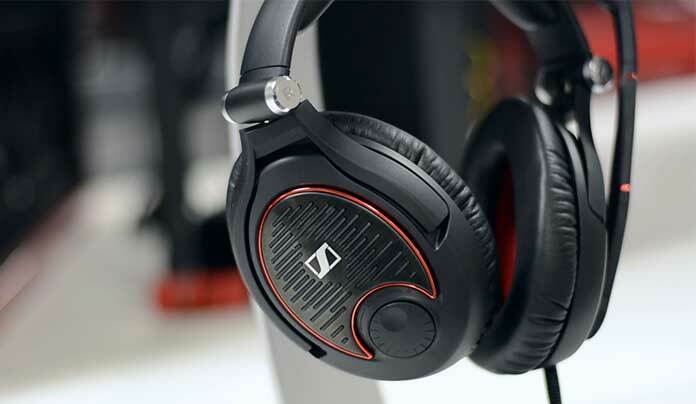 Many people associate Sennheiser with some of the highest end headsets that are made for enthusiasts. So, it was a surprising turn of events when the company came out with Sennheiser GAME ONE Gaming Headset. A headset that was truly meant for gamers, and as a long time Sennheiser fan, I had to check this out. Upon taking the headphone out of the box, I was met with a relaxation as I realized that Sennheiser has not given into the pressure of the modern peripheral industry. I mean that the company decided to stay true to their design, and the foundation that the headphones are built upon. You will not find fancy RGB lighting options, or angular looks that will raise eyebrows rather than turning heads. However, what you will get is an exceptional sound quality that is on par with some of the best headset Sennheiser has created so far. The headset offers microphone that can cancel the incoming noise from your end, allowing your teammates to be able to hear you perfectly. Much of the construction is done in red and white, it is certainly a shift away from Senneheiser’s usually subdued colours, but worry not, it’s all in place. Sound quality is definitely the strongest part here, and I love that because the headset does not try to look good; it just looks the way it is. Considering that it is Sennheiser I am looking at, the build quality happens to be amazing. The headset feels solid, and despite major construction being plastic, everything is held together tightly. 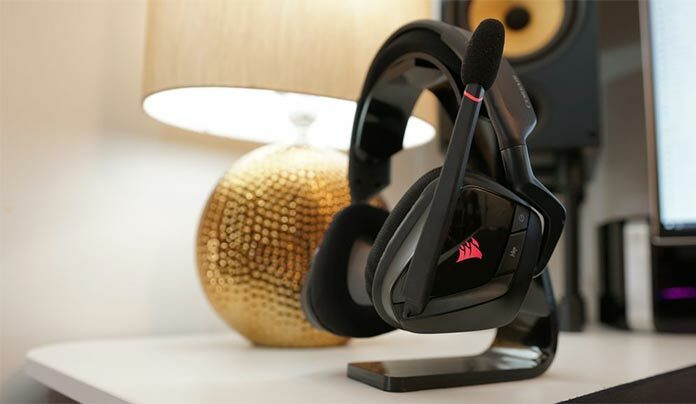 The headset is also very, very comfortable to wear, and if you are a gamer who prefers long gaming sessions, you will have nothing to complain about. Sure, there are some downsides though, like the velvet earcups can collect some fluff in them when you are using them a lot. 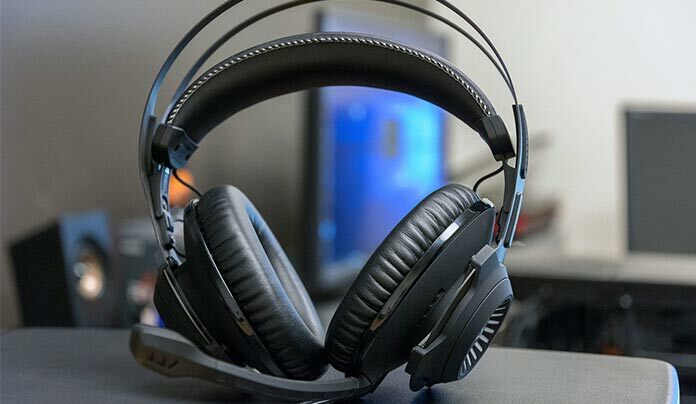 If you are okay with these minor inconvenience, then there is absolutely nothing that should hold you back from enjoying the amazing Sennheiser GAME ONE Gaming Headset. Excellent sound quality that stays true to Sennheiser’s legacy. One of the best microphones on a gaming headset. The red and white design looks amazing. The velvet earcups collect some fluff after long use. 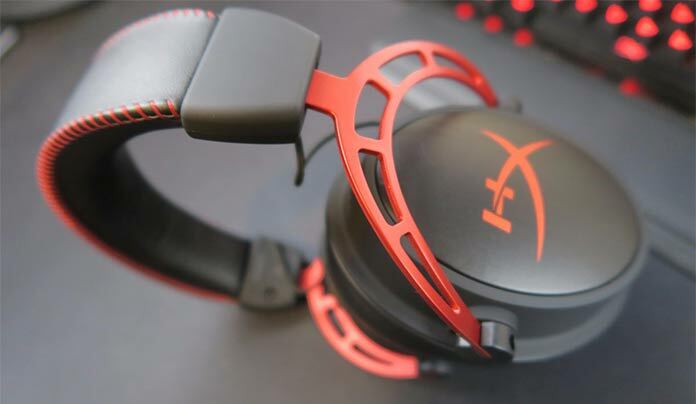 The HyperX brand is a subsidiary that works under Kingston, and is known for creating some gamer-oriented parts ever since its arrival at the scene. They started off with making RAM modules, flash drives, and SSDs, but soon decided to branch out into gaming peripherals as well. So far, HyperX branding has released highly revered mechanical keyboards, but today, I am looking at their very first gaming headset; the HyperX Cloud. There have been other iterations too as well as a sequel to this headset, but the fact that the original still remains the most popular is undeniable. Donned in red and black accents, HyperX Cloud speaks quality all around itself. It is made from metal, and despite the heavier material, it still feels very comfortable for long gaming sessions. I know I said that the colour scheme is red and black, but everything is so subdued, making sure that nothing feels out of place. The sound quality is the one thing that I wanted to work out really well and to my surprise, it was among the best sound qualities I have heard in a pair of headphones. It does not matter if I was gaming, watching movies, or just listening to music, the sound quality was consistent, and satisfying. The only thing I did not like about it was the microphone, while it was decent as far as the performance was concerned, it required tweaking in order to work the way it was supposed to work. Then again, most people who buy gaming headsets normally have a better external microphone to use. The microphone can be used for in-game chat or with Discord without the user having to repeat the same sentence over and over again. It’s just that quality is just average. Something I have come to expect from these gaming headphones. Solid, lightweight, and comfortable construction. The microphone just needs slight tweaking. Razer has amassed a crazy number of following over the past couple of years. It went from a cult to a full-blown corporation, and believe it or not, it all happened for a good reason. The mainstream market pushed Razer into a lot of maturity, and they finally started taking things seriously. Ever since that, the company has released a slew of products that have been major success, and today, I am looking at the Razer Thresher Ultimate. The headphone follows the Razer’s trend of outlandiwhs names, and at this point, I don’t mind at all. It’s the performance that matters to me. At first glance, you can see the maturity in Razer’s production. Gone are the aggressive looks, and neon green plastic. The Razer Thresher Ultimate is a simply made headset donning black with green accents where they are necessary, and where they look good. My complaint with the previous Razer headsets was that they were not that comfortable, however, even that has changed thanks to Razer’s use of one of the plushiest pair of earcups I have seen on a headset. The Thresher Ultimate is extremely comfortable, sturdy, and lightweight. It is also wireless with sound quality that will put some of the higher end headphones to shame as well. Not to forget, the battery life on the Thresher Ultimate is satisfactory to a point where you will not have to leave your game to charge your headphones. I do wish that Razer had paid some attention to how the hinges are designed because they are fragile to say the least, and the headphones doesn’t use Bluetooth to establish connection. These are perhaps the only complaints I have with the Razer Thresher Ultimate. Pretty much everything else is brilliant, and has no issues whatsoever. Build quality looks and feels premium. The original Corsair Void headset was a smashing success in all the variants it was released in. Whether you opted for a wired variant, wireless one, or even the surround variant, you were getting a lot for your money, and that is definitely a good thing. Much like some of other peripherals from their series, Corsair decided to give the Void an upgrade. In comes the Corsair Void Pro, an updated headphone that promises to be better at what the Corsair Void was not. Is it good enough to trump the legacy created by the original or is it just an iterative upgrade? Well, Corsair did not change how the Void Pro looks, so you still have the same futuristic design that we have come to love a lot from original Corsair Void. Just like the original, this also comes in wireless, wired, and surround. I got to test the surround version, and I must say, I was not disappointed at all. As a matter of fact, the Corsair Void Pro is actually really good. The sound quality is not changed much at all, but there are minor improvements. Corsair has added some improvements to the microphone as well. Promising clearer voice chat ability, and generally a better performance overall. The battery life was solid and consistent throughout my testing. Turning on the RGB lighting will have an impact on the lighting, so keep that in mind. 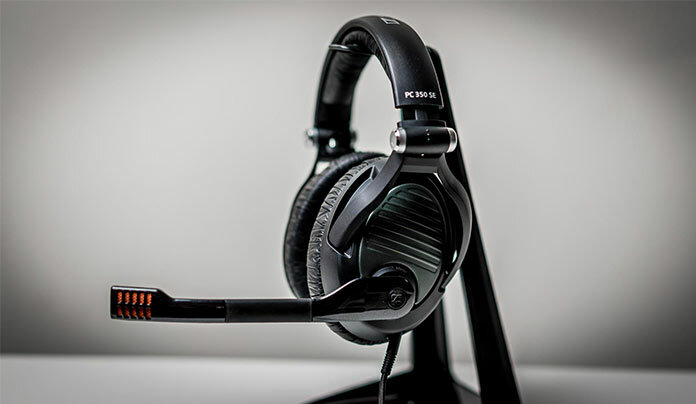 The original Void headset was really comfortable for me, and the same goes for the Void Pros. Now keep in mind that the ear cup design is somewhat unconventional, so not everyone might feel the same way towards the Void Pro. All in all, the Corsair Void Pro are a pretty decent headset for the price you are paying. It is a definite upgrade over the original, and makes the sound even better. However, if you have the original, I don’t see much reason to upgrade that. The earcup design is a bit strange for some people. Asus has been one of the best manufacturers computer hardware. Their consistency has made them dish out some seriously impressive products ever since they have stepped into the market. Their mice, keyboards, and headsets are revered by the gaming community. Today, I am looking at the Asus ROG Strix Wireless Gaming Headset. A wireless headset from Asus carrying the Strix branding, and some really, really aggressive looks. For those who don’t know, the original Strix logo is that of an owl, and the headset is designed with that mascot in mind. Both the earcups have owl eyes, and as absurd as it sounds, it is actually very tastefully done. So much so that it feels natural, and as a part of the headset itself. Considering the high price, the headset comes with a slew of accessories that are a welcomed addition, and you will be using them one way or another. The headset also has a boom mic that can be detached, I really like this feature as it gets a proper control over how you want to use your headset. Not many headphones offer this, not knowing that it is definitely a good feature. The overall sound quality is really good, with the headset delivering satisfactory results in all the tests. Gaming, music, and moving is a treat on the Asus ROG Strix wireless gaming headset. Not just that, the overall battery life is pretty satisfying as well. The battery life on the Asus Strix headset is another solid aspect, and at this point, the only downside that I think is the fact that the headset itself is on the larger side. It is not uncomfortable by any mean, it’s just uncomfortable, and something that I must point out. Everything else is near perfect, and the for anyone looking for a new headset in the Asus ROG Strix Wireless is an amazing headset that will go well with the rest of your setup pretty well. Solid looks and build quality. Detachable boom mic is a great option. The headset is big on the head, despite being comfortable. I am reviewing another HyperX headset, however, the main difference here is that the HyperX I am looking at right now is on the cheaper side. The good thing is that despite the low price tag, the headphone has still managed to make me like it thanks to some pretty amazing features. For starters, the HyperX Cloud Revolver is somewhat smaller than the original Cloud; this is not bad by any mean, it just makes the headset a lot more compact than it used to be. The same build quality makes a return, meaning that the headset is solid, and comfortable to wear. The headset is super comfortable even in the longer gaming sessions, and thanks to the universal compatibility, it can be used with pretty much every single device in the market. The microphone is also pretty decent, ensuring that your friends will be able to tell what you are saying without any issues whatsoever. The overall sound quality is not as refined as the original Cloud headset, but it is still at a point where I would admire it for sure. Keep in mind that this is a cheaper headset, so the headset quality should be lower too. Still, the headset manages to have a pretty good performance. One thing that I must point out is that the headphone jiggles slightly when you move it a lot. It is only noticeable when you are jiggling it a lot, otherwise it shouldn’t be an issue. The HyperX Cloud Revolver gaming headset is a great headset for people who can’t afford the original at the moment. It is simply designed, and implemented the same way. I don’t really have any other complaints apart from the fact that the overall build quality could have been somewhat better. However, considering the lower price tag, I will let this one slide away, but it is still getting mentioned. The sound quality is still pretty good. The headphone has a decent build quality. Design remains simple and practical. The headphone jiggles when moved a bit. Logitech recently released the G433 and surprised the gaming industry. It is one of the first gaming headsets that uses a stylish fabric material that covers the earcups, as well as the plastic shell on the back. While personally I would have preferred a matte texture plastic, but I assume Logitech wanted uniformity. Needless to say, they have succeeded in getting the uniformity as the G433 looks very, very uniform and that is one thing I love. Moving over to the performance parts, the good thing is that the overall sound quality of the headset is well rounded. Gaming and watching movies is an absolute treat. However, the headset does not perform as well in music. It just does not sound good as a music headset, and to be honest, I don’t mind that. As long as it is letting me enjoy the music without any issues whatsoever, it’s all good. Thanks to the fabric Logitech used, the headset becomes comfortable to wear, so even if you are planning on wearing it for longer time, it will not create issues. However, the important issue that you should keep in mind is that if you have dry skin around the ears, you might have some flakes stuck in the fabric. The Logitech G433 was as rather surprising release from Logitech. I did not expect the company to release something so unconventional like the G433. However, upon testing, I realized just how great this headset. It does not follow a single modern market trend, and yet manages to be so relevant. 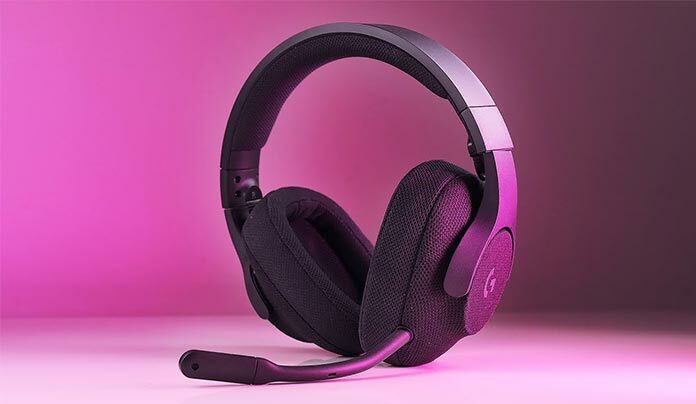 At this point, it is safe to say that the Logitech G433 is a near perfect gaming headset for the price you are paying, and if you are not in the need of additional features like RGB. The headset will do you justice. Solid performance in movies and games. The design language is simple and effective. Can be used for several different purposes. Is extremely comfortable for longer use. The fabric material can gather skin flakes. Headset is not perfect for music. 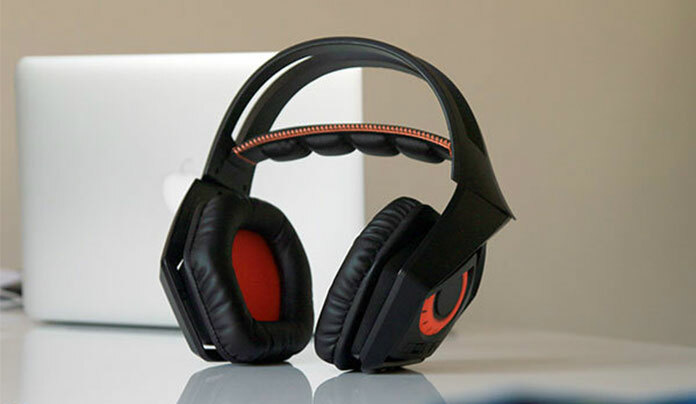 When SteelSeries came out with the Arctis series, a lot of people established that the company has once again established itself as one of the best companies when it comes to gaming headsets. That quickly made me realise just how badly I wanted to test out the Arctis 7, the top end model in the series. The whole series looks similar to each other, and while some people will definitely have something to say about that, I don’t have an issue because the headphone looks simple, and looks good. So even if you are concerned about the looks being a bit too simple, don’t worry. The Arctis 7 is a true, seamlessly wireless gaming headset without RGB lighting and it is completely fine. The headset does not look incomplete at all. Considering how I am dealing with a wireless headset, I really wanted to make sure that the sound quality of the headset is good. To be honest, the Arctis 7 has exceptional sound quality right out of the box. The headset shines in gaming, as well as watching movies. 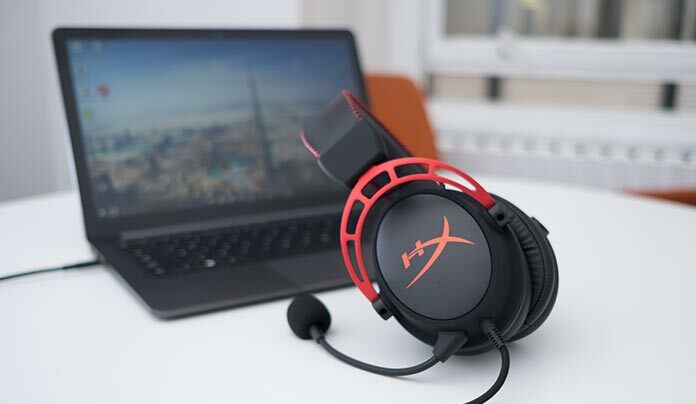 While you may require to fine tune the headset for music purposes, if you want to use the headset for gaming, communicating, or watching movies, you will have no issues. The Arctis 7 is also very, very comfortable to wear; it does not matter if you are wearing it for just a few gaming sessions or for hours, the whole comfort is there, and it is definitely worth it. The wireless experience is amazing on the Arctis 7 and SteelSeries has made sure that the users don’t end up in any complication of sorts. In conclusion, the SteelSeries Arctis 7 is a really amazing wireless gaming headset with no major deal breaker to start with. You just have to fine tune the headset if you wish to listen to music on it. If you are okay with this minor inconvenience, I don’t think you will have any other issue with the headset. Requires fine tuning for music. If you thought that Sennheiser Game One was the only headset from Sennheiser in the list, then you thought wrong. The Sennheiser PC 360 Special Edition Gaming Headset is on the review table, and I very much like the black looks on the headset. It goes well with my entire PC’s theme, and that alone is a selling point for me. Sadly, I will not be able to evaluate a headset’s performance based on its looks so I will have to dive deeper into just how good the headset sounds. I test all the headsets the same way; listen to some music on them, play a couple of online games, and lastly, watch movies on them. The Sennheiser PC 360 Special Edition Gaming Headset went through the same treatment, and to be honest, I was not surprised. As a long time Sennheiser user, I knew what I’m getting myself into. The Sennheiser PC 360 Special Edition Gaming Headset is an amazing headset for gaming, listening to music, or playing games. The headset is balanced in such a perfect way that you will not have any issues with the sound quality. Another thing I love about the PC 360 is the fact that they happen to be super lightweight. You can literally wear them for hours, and there will be no issue whatsoever. My only complaint is that at some points, the overall build quality does not feel as good as it should. This can introduce a bit of an issue into the overall headset for people who like to just be rough with their gear. It’s not super delicate and certainly will not break in two pieces, but I wish Sennheiser had worked harder on making the build quality better than it already is. Rest assured, your experience with the Sennheiser Game One 360 Special Edition is going to be pretty amazing. Excellent sound quality in all the scenarios. Build quality could have been better. I am finally done reviewing all the amazing gaming headsets there are on the list, and I am looking at the last product. Which is the Kingston HyperX Cloud Alpha Pro, this is again from the HyperX Cloud series. The headset was released fairly recently, but has managed to amass some really amazing reviews. Intrigued, I decided to check out the headset to see what all the hype is about, and to be honest. I am super impressed with how the headset turned out to be. Kingston is doing something extremely commendable with their HyperX line up of products. It is not easy to show the consistency they are showing with all of their products. This has translated into other peripherals as well; their gaming keyboards are becoming better with every iteration in the market. The Cloud Alpha Pro is a wonderful headset that costs a lot less than some of the higher end competition in the market. However, thanks to Kingston’s dedication towards providing a quality product, the sound quality is exceptional on the Cloud Alpha Pro, and the design is sleek, feels premium to touch, and is understated enough to make the headset easily blend in with the rest of the computer. The earcups on the Cloud Alpha Pro are soft, and cushioned to an extent that you will not feel any sort of discomfort while using the headset. 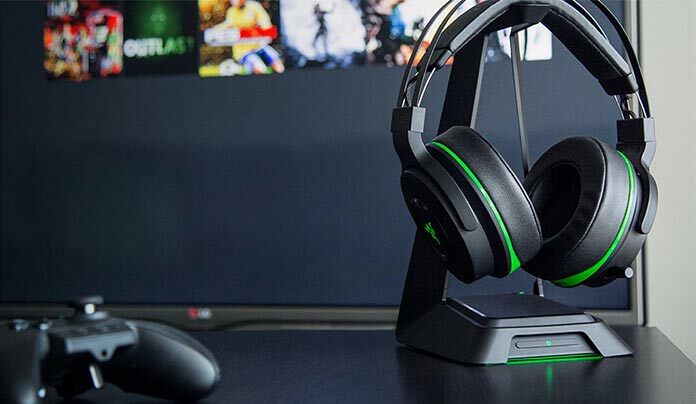 You can literally game on for hours with this headset and you won’t be having any issues of any sort. The microphone is another strong point; during my testing, I played several rounds of Playerunknown’s Battlegrounds and considering how communication is the key to victory in that game, I can confirm that there was not a slight miscommunication caused by the microphone. Every word spoken was heard by team members, and we did emerge victorious a couple of times as well. It did pick up some background noise, sure. However, it was never too much to bother me a lot. One thing I would point out though that after prolonged use, the earcups started to feel snug, while it is definitely a good thing winters, you might not feel the same in summers since it will get hot. Still, the headset does not let you feel like it is making you feel uncomfortable at all. The headset might feel snug against the ears. In conclusion, I would only say that testing these headsets was an absolute pleasure. I am the person who believes that gaming headsets are more or less a gimmick. However, upon using all of these headsets, my perception has changed. These headsets are certainly not gimmicks, and have their own place in the market. Making them viable for people who don’t want to have a generic, ordinary looking headset taking place next to their expensive, high end gaming PC. Simply put, these are undoubtedly the best gaming headsets I have tested so far. As always, I have to pick at least one winner as an editor’s choice so the readers don’t end up in confusion as to what headset they should choose. After careful evaluation, I have to give the editor’s choice to the Sennheiser GAME ONE; it was not easy for me thanks to the competition but the all-rounding sound quality of the Game One makes it one of the best headsets in the market. The performance is undeniably good, and there is so much to praise about the headset that it almost starts sounding unfair to the rest of the products in the market.